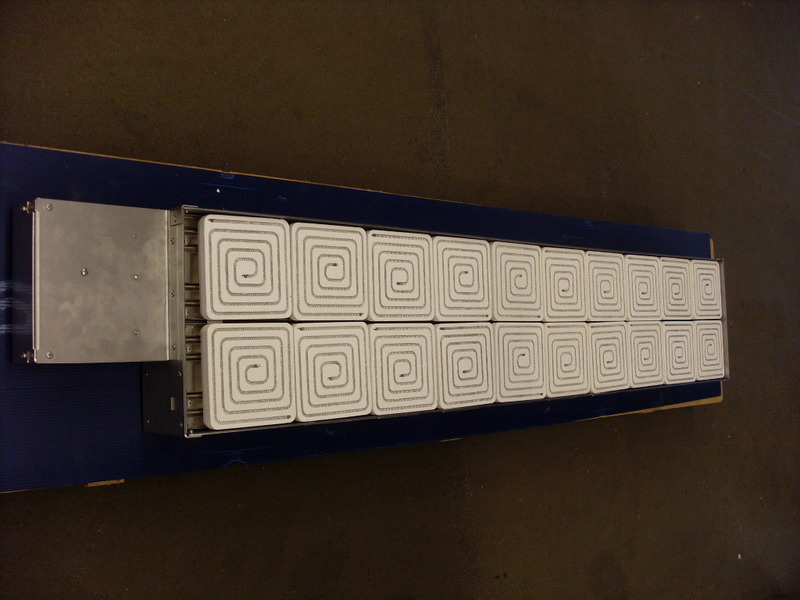 Elstein-Werk from Germany and Wilmod Heating & Systems for the developing and manufacturing of radiationpanels, supplied with the Elstein ceramic heating elements. These radiationpanels are used in industrial environments such as plastic processing industry, agricultural-, poultry-, machinery- and food sector. The radiationpanels can be delivered in standard sizes but also on customers specification. Also the control cabinets to regulate the temperature of the heating panels by are made by us. In this way we are able to deliver a complete installation which is fully tested before it is installed in your place. The installation can also be placed and connected by our own experienced engineers. Together with Wilmod Heating & Systems we have developed a safe and effective sulphur evaporator type WSE75/230V for horticulture greenhouses. This new and revolutionary sulphur evaporator is energy efficient because the sulphur is directly heated in a ceramic Elstein element. It is safe to use because the work temperature is max. 200°C so it stays under the combustion temperature of sulphur (220-230C). Next to this is the sulphur evaporator is verey effective, the evaporating rate of the sulphur is 0,5 gram/hour.